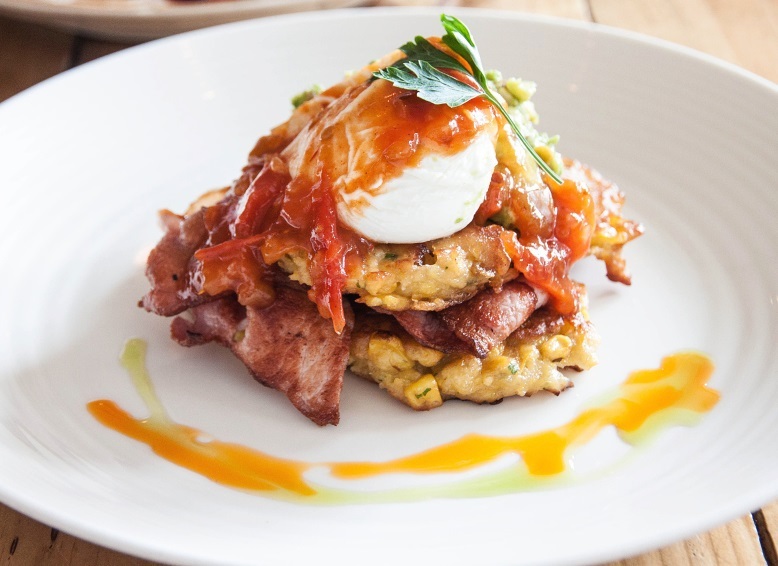 Is breakfast your favourite meal of the day? 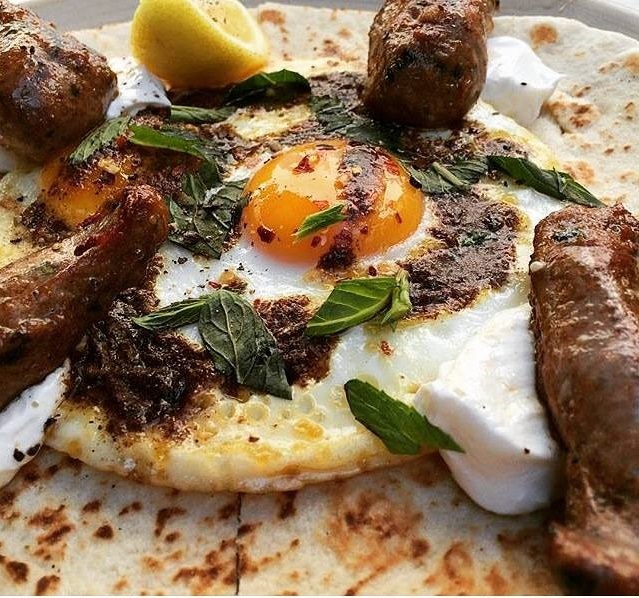 If yes and your wish is to be able to eat brekkie at any time of the day, then this selection of establishments should satisfy your needs. Whether it's muesli, fruit and yoghurt, bacon and eggs, toasted sangas or sweet pancakes, you're sure to find what you want as these and other businesses realise that people are not adhering to traditional meal times. Our busy lives leave us eating at odd times, throwing out routine. In this shaded riverside deck, a friend and I caught up for lunch recently. Whilst I had fish and chips off the lunch menu, my friend chose a ham and cheese croissant from the all day breakfast menu. Both of us were satisfied. We strolled over to the Armory Gallery to see the ArtExpress exhibition before going back to the cafe for dessert. Even though it was a hot day, we sat outside with a beautiful breeze cooling us. With reasonably priced items, there was a lot to choose from. They have seasonal fruit salad, grilled banana bread, walnut and fig toast with maple whipped butter, English and Mexican style breakfasts, corn and zucchini cakes, omelettes, wraps and more. Lunch sees an abundance of seafood, being along Parramatta River, as well as roast duck, Chermoula chicken, burgers and schnitzel. Thirst quenching drinks in lovely soda jars go down well. The dessert had me in heaven. Banoffee pavlova that had a light coffee-flavoured meringue as its base with toppings of cream, banana, caramel and chocolate (first picture above). You'd think this would be super sweet but it wasn't. Instead, it was very well balanced. I highly recommend this place and will be going back again to try the apple and rhubarb crumble with ice cream. So many delicious things to choose from and they also have a takeaway menu. Open Mon-Fri 8.30am-4pm, Sat & Sun 7.30am-5pm. I hear the corn fritters are delicious in addition to the Merchant, the cafe's own take on a bacon and egg roll, and their flat bread sandwiches keep customers returning for more. The standard and affordable prices make this eatery popular as is evident with the often small line forming outside. Close to the city, stop off and try their wonderful fruit smoothies, tea varieties, hot chocolate and coffee. Lunch menu also available. Coffee is king here and sourced from plantations in South America, so if a good coffee is your thing then this place is for you. 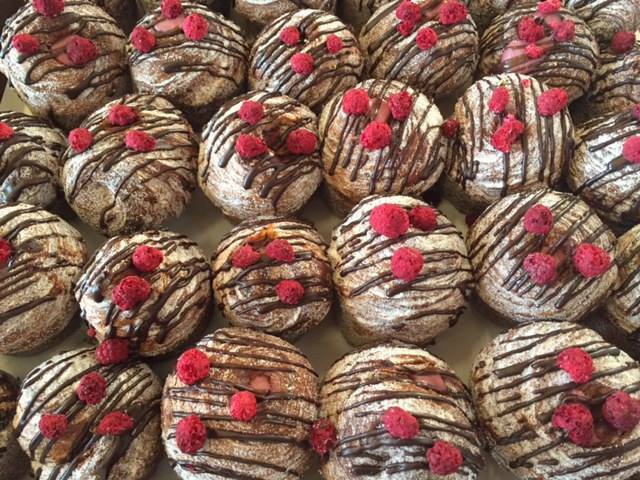 This two level venue also has a good variety of pastries and is home to the original cruffin, the hybrid of a croissant and a muffin. They also do Belgian waffles, muesli and stewed fruit, poached eggs and toast, Canadian bacon, sausages, cured salmon, sandwiches and salads. Open 7 days from 8am to 4pm, this trendy cafe with industrial chic decor does lunch as well. Two menus, the Brewtown menu and the Gnome menu, provide something for everyone. Piccolo's is a small and cosy venue that has an all day breakfast with an Egyptian/Mediterranean twist, including tasty Cairo eggs, Shakshuka, bruschetta, bubble and squeak with grilled haloumi, and brioche buns with bacon, egg, melted provolone, roasted tomatoes, rocket leaves and spicy relish. Sweet treats, such as the Yogi berry bowl, include fruits with sticky rice, dates, toasted pepitas (pumpkin seeds) and black chia seeds. More upscale, it is open Mon-Fri 6am-3.30pm and Sat-Sun 7am-3.30pm. Cafe by day, restaurant and bar by night, their all day breakfasts are huge and can be enjoyed indoors or outdoors in the courtyard. Open 7 days with breakfast served from 9am to 3pm, they have both sweet and savoury favourites, healthy and not so healthy, it's up to you. There's big veggie stacks for big eaters, omelettes, breakfast sandwiches, meat for meat lovers, pancakes, muesli and fruit. Add a Bloody Mary to any Full Breakfast for $10. 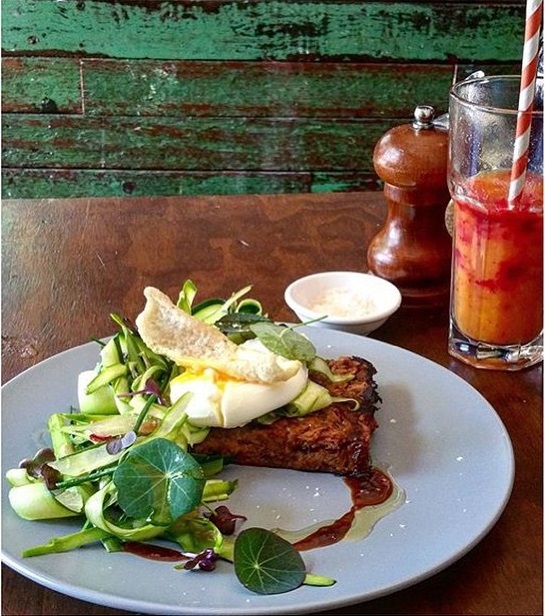 Tucked away in this leafy suburb, you'll find high-end coffee, simple and modern Australian fare with nothing over $15. White walls, wood panelling and friendly staff welcome you to this relaxed cafe, along with menu items, such as house-made ricotta with burnt honey and macadamia on rye toast, hay roasted chicken baguettes, and smashed egg breakfast rolls with pickles, avocado and mustard, to name a few. Perhaps ocean trout for brekkie is what you desire or pork on your fork, no worries, you can get it here. The cafe is environmentally aware and uses a SodaStream machine to make their fruit cordials and sodas, thus reducing waste. Anything that helps save our environment, gets a thumbs up from me. Open Mon-Fri 7am-3pm and Sat-Sun 8am-3pm. Newly opened in January with Michelin trained chef Rob Lechowicz at the helm, this cafe serves up sweet potato burgers, French toast with Szechuan poached pears, ginger and white chocolate plus many other items with a twist. Vibrant, modern and laid back, there are meat and vegetarian options as well as gluten-free and children's meals, protein-based dishes and takeaway salads. The menu frequently changes for variety. 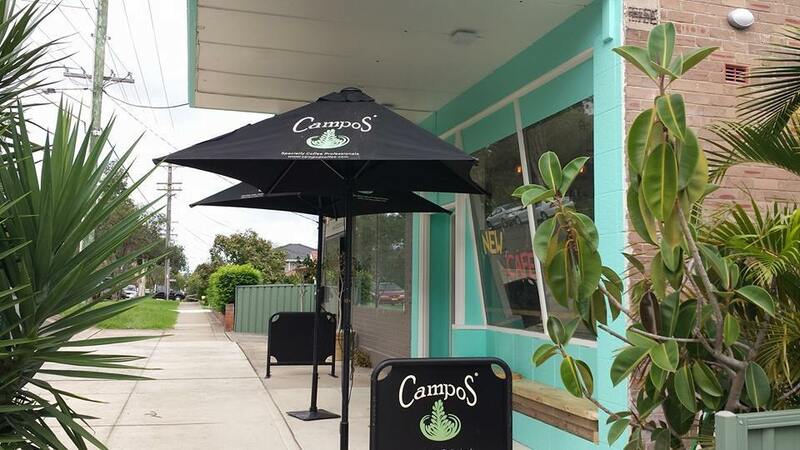 This casual dining option, reasonably priced, is open Tues-Fri 6.30am-4pm and Sat-Sun 7am-4pm. Tasty stomach fillers with cinnamon honey butter and caramelised banana on ricotta pancakes, Cajun chicken burgers, corn fritters, banana smoothies, chocolate brownies, great Campos coffee and more at this gourmet cafe with the peppermint green facade. 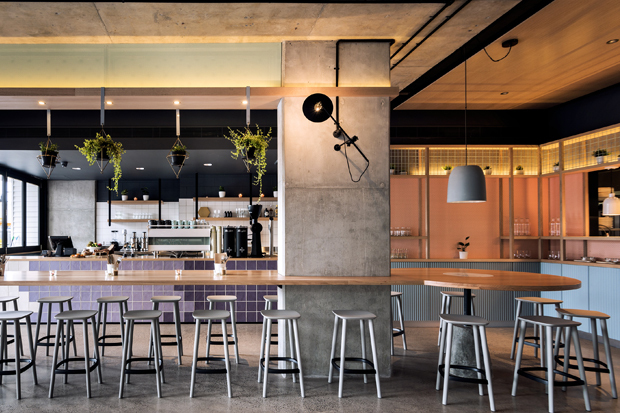 Owned and run by Justin Park, formerly of Doyle's at Circular Quay, illustrations adorn the walls, fresh flowers grace wooden benches and magazines are available to read. You can also sit outside in the back courtyard beside a huge magnolia tree. Open Weds-Mon 8am-4pm, it is child friendly, light and airy with quick service. Breads and bakery items range in price from $4.50-11, egg dishes $8-14 and big breakfasts $12.50-16. 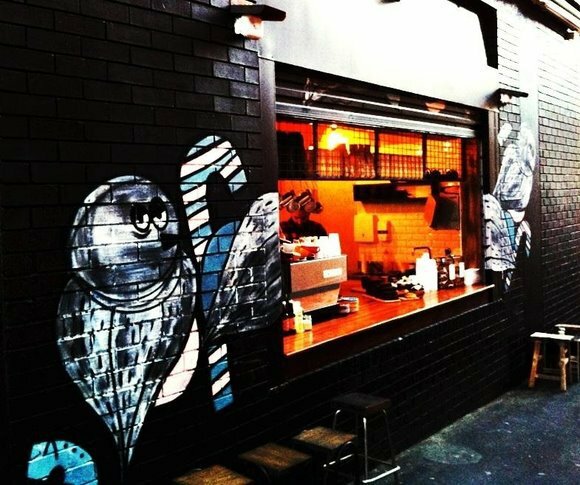 Some of the best coffee in the west can be found here in this small trendy outfit with laneway tables and owl murals. Inside is a long bench for those that want to linger longer out of the rush of nine to fivers flying in and out for their caffeine hit. Bread is dominant in the breakfast options with avocado toast, bacon and boiled egg rolls, poached chicken and Portobello mushroom sandwiches, and banana bread with homemade passionfruit butter (that's got me). Pastry treats, lamingtons and cakes are also enticing here. With an entertaining cheerful service and 90's hip hop vibe, they are open Mon-Fri 7am-3pm. If you find yourself away from these areas, then your local McDonalds may be the option for you. They are now doing breakfast all day as well. If you know of other eateries that do all day breakfast, comment in the box below. When: Anytime - it's all day breakfast! Yum! Well as they say, breakfast is the most important meal of the day. 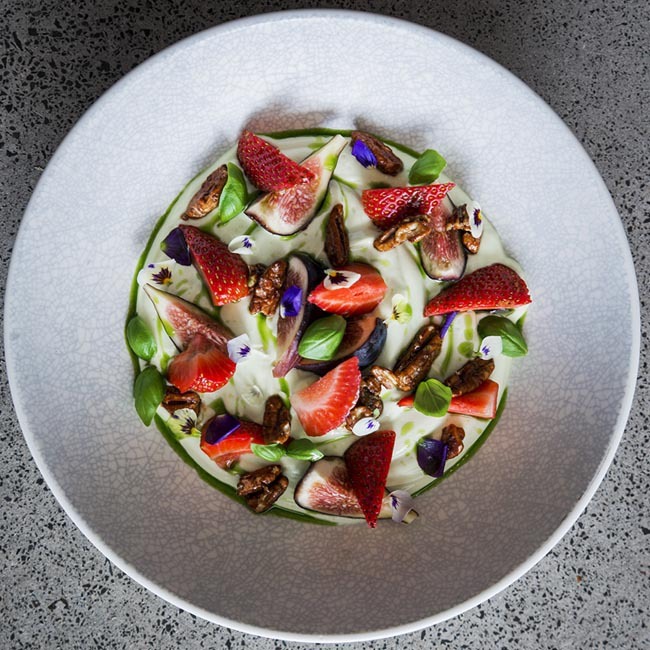 Some stiff competition on this list too, but I think the winner for me is Blackwood Pantry's loaded yoghurt dish - that looks incredible!